CPI is collaborating on a photonics project to advance the development of next generation cancer treatment using phototherapeutic methods. The project, a collaboration between CPI and North East-based company, LightOx, is focused on light-based treatments to target removal of skin and oral cancer cells. CPI is supporting LightOx to develop a range of molecular tools for use in imaging, therapeutics and assay development. These unique chemical probes enable cell imaging, detection, tracking and tagging of bioactive molecules, with these tags imaged using fluorescence and Raman spectroscopy. The probes are smaller than any other commercially available product for these applications, meaning they bypass the traditional problems associated with fluorescent probes. They provide facile delivery into the cell as well as minimal disruption to cell activity prior to light activation, fundamentally changing the way in which these therapies can be delivered to patients. The technology is also able to target therapeutic action to particular body sites using a simple delivery system that enables instant treatment and cell death of selected cells and tissues without damage to healthy cells, minimising side-effects for patients. 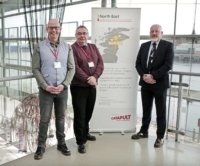 The collaboration between CPI and LightOx forms part of the Spotlight programme, which itself is a partnership between CPI and Durham University, funded by the European Regional Development Fund (ERDF). Providing support to SMEs in the County Durham area, Spotlight helps ambitious businesses with early stage proof-of-concept research and the scaling-up of photonics technologies to accelerate commercialisation into the healthcare sector. CPI’s expert healthcare photonics team has supported the progression of LightOx’s molecular technology through the optical analysis of LightOx’s fluorescent drugs, allowing a greater understanding and informing product development. Complementing this analysis, Durham University helped produce a prototype controllable, calibrated, light delivery system to allow LightOx to validate their new compounds. 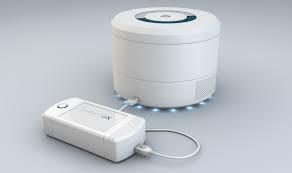 LightOx is also now in a position where the company has attracted further investment and is in the process of developing its products for clinical applications. The project comes shortly after the opening of CPI’s new, cutting-edge National Healthcare Photonics Centre at NETPark in Sedgefield, County Durham. The new centre will support the scale-up and commercialisation of medtech products by acting as a hub for businesses of all sizes and academic partners to work on innovative methods of diagnosing disease, imaging systems – including endoscopy – and light-based treatments. Dr Carrie Ambler, LightOx Chief Scientific Officer, said: “CPI provided LightOx with a first-generation light box that enabled us to select leading drug candidates to progress through the therapeutic development pipeline. Following successful selection, we now expect our lead candidates through the pre-clinical evaluation aiming for Phase 1 starting in 2020/2021.